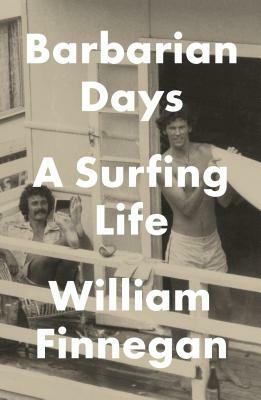 "Barbarian Days" is William Finnegan's memoir of an obsession, a complex enchantment. Surfing only looks like a sport. To initiates, it is something else entirely: a beautiful addiction, a demanding course of study, a morally dangerous pastime, a way of life. Raised in California and Hawaii, Finnegan started surfing as a child. He has chased waves all over the world, wandering for years through the South Pacific, Australia, Asia, Africa. A bookish boy, and then an excessively adventurous young man, he went on to become a distinguished writer and war reporter. Barbarian Days takes us deep into unfamiliar worlds, some of them right under our noses off the coasts of New York and San Francisco. It immerses the reader in the edgy camaraderie of close male friendships annealed in challenging waves. Finnegan shares stories of life in a whitesonly gang in a tough school in Honolulu even while his closest friend was a Hawaiian surfer. He shows us a world turned upside down for kids and adults alike by the social upheavals of the 1960s. He details the intricacies of famous waves and his own apprenticeships to them. Youthful folly he drops LSD while riding huge Honolua Bay, on Maui is served up with rueful humor. He and a buddy, their knapsacks crammed with reef charts, bushwhack through Polynesia. They discover, while camping on an uninhabited island in Fiji, one of the world's greatest waves. As Finnegan's travels take him ever farther afield, he becomes an improbable anthropologist: unpicking the picturesque simplicity of a Samoan fishing village, dissecting the sexual politics of Tongan interactions with Americans and Japanese, navigating the Indonesian black market while nearly succumbing to malaria. Throughout, he surfs, carrying readers with him on rides of harrowing, unprecedented lucidity. "Barbarian Days "is an old-school adventure story, an intellectual autobiography, a social history, a literary road movie, and an extraordinary exploration of the gradual mastering of an exacting, little understood art. Today, Finnegan's surfing life is undiminished. Frantically juggling work and family, he chases his enchantment through Long Island ice storms and obscure corners of Madagascar. WILLIAM FINNEGAN is the author of "Cold New World," "A Complicated War," "Dateline Soweto," and "Crossing the Line." He has twice been a National Magazine Award finalist and has won numerous journalism awards, including two Overseas Press Club awards since 2009. A staff writer at "The New Yorker" since 1987, he lives in Manhattan.